Newer Needs Require More Space. Over the years as you create your own space abroad, the needs and requirements of your family back home may also grow. 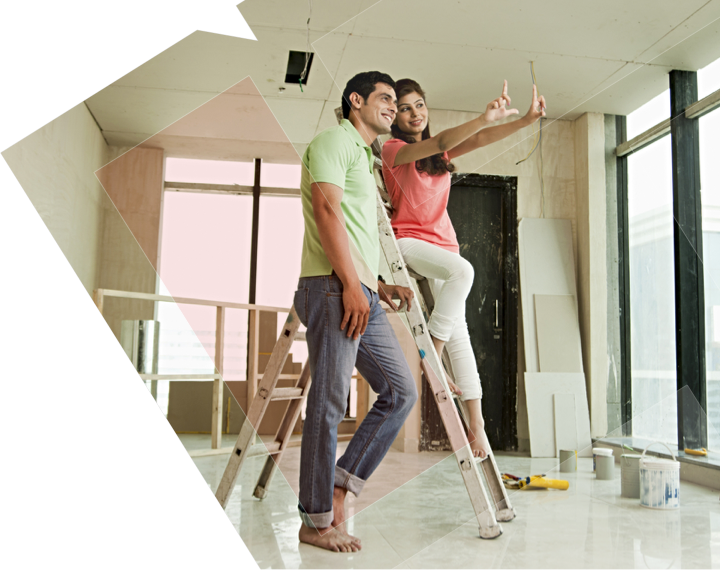 With HDFC's Home Extension Loans you can add more space to your home in India, ensuring that your family's needs have an extra room for expression. You can apply individually or jointly for Home Extension Loans. All owners of the property will have to be co-applicants. However, all co-applicants need not be co-owners. Co-applicants can be family members only.An NRI/OCI/PIO above the age of 18 years upto 60 years who is of sound mind and is not disqualified from contracting by any law can apply for home loan. YOUR HOME MAY BE REPOSSESSED IF YOU DO NOT KEEP UP REPAYMENTS ON THE LOAN/S AVAILED FROM HDFC AGAINST IT. *Subject to repayment capacity of the customer, as assessed by HDFC. In case the applicants & co-applicants are not present in India at the time of disbursement of the loan and the disbursement is availed by the Power of Attorney holder, then the applicants & co-applicants are required to visit the overseas HDFC Office for KYC documents attestation by the HDFC representative. In case they are unable to visit our overseas branch then they are required to submit a copy of their identity and residence proof either notarized by the Notary Public (overseas) in the place of residence of the NRI customer or attested by the Indian Embassy existing at the place of residence of the NRI customer. (*) the contents of the above are subject to change from time to time and the levy of the same shall be at such rates as may be applicable as on the date of such charge. **Conditions apply. *** For certain professionals only. The professionals may include but are not limited to Doctors, Lawyers, Chartered Accountants, and Architects.